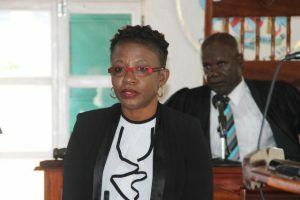 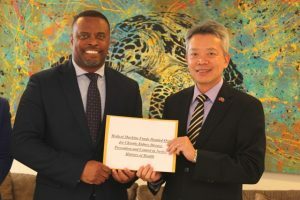 The Republic of China (Taiwan) continues to make good on its promise to assist the Nevis Island Administration (NIA) in its quest to arrest and control chronic kidney disease on the island. 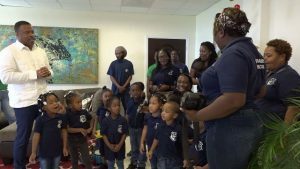 Students from the Antioch Baptist Academy Pre-School in St. Kitts, brought some Christmas cheer to Hon. 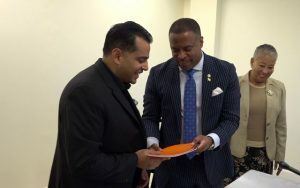 Mark Brantley, Premier of Nevis, when they visited his Pinney’s Estate office accompanied by parents and teachers on November 30, 2018. 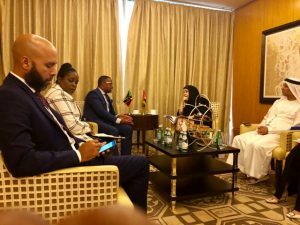 Bilateral meetings ran concurrently with the panel discussions at the First Caribbean-UAE (United Arab Emirates) Cooperation Forum opened in Dubai at The Ritz-Carlton Dubai International Financial Centre on November 25, 2018.